Decléor is up there as one of my favourite skincare brands of all time. I’ve been having their facials and using their skincare products since I was in the last years of secondary school. It was their expert blend of essential oils and high quality, natural ingredients that first drew me to Decléor when I was looking for products that would be gentle but effective on my young skin and I’ve used many items from their range ever since. With such high performing products comes a price and Decléor skincare is certainly more luxurious than many skincare brands out there but they’re also much better quality and more effective too, which makes their cost more than justified. If theres one area of beauty that is worth investing in, its your skin, especially as you get older which is why I’ve always prioritised superb quality skincare over makeup. 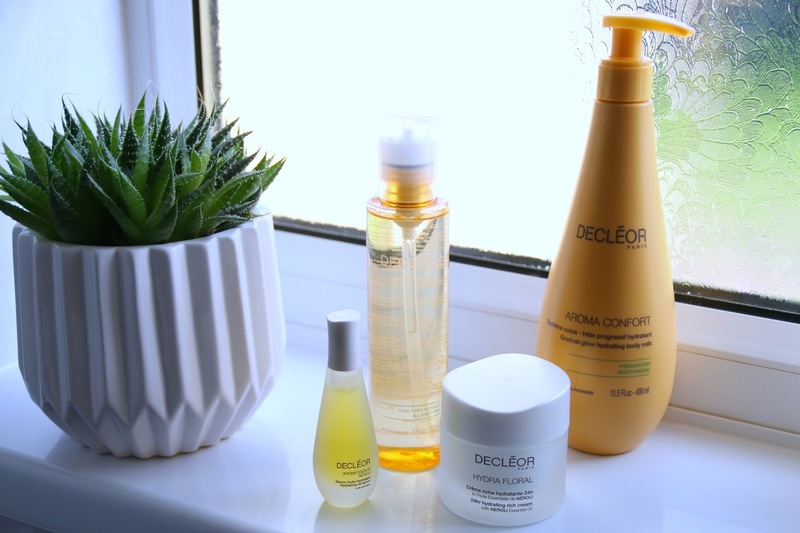 The great thing that I’ve found with Decléor is that little goes a long way with everything that I’ve bought, so I find myself getting really good value for money too as I’m not rushing out to repurchase my products every month. The Decléor spa that I go to is the fabulous Pure Bliss in Sunderland and I like to check out their promotions on the skincare range while I’m there but I’ve never seen a deal as amazing as one that’s on QVC today, Mothers Day. For 24 hours ONLY, QVC are offering the Decléor 4 Piece Skin in Bloom Hydrating Collection, which includes the Micellar Oil, NEW Aromessence Néroli, Hydra Floral Rich Cream and a choice of either the Moisturising Body Milk or the Gradual Glow, for a jaw dropping price of £59.98!! The only choice that you have to make is whether you’re going to go for the Gradual Glow Option or the Moisturising Option as it is only the one body product that differs between each set. Aroma Confort Moisturising Body Milk (RRP £35) is a moisturiser that I have been using for many years. You can even check out a throwback review post here. The fragrance of this body moisturiser instantly relaxes me as it soothes and hydrates my skin with its formula enriched with coconut oil, vitamin E and meadowfoam oil. The Aroma Confort Gradual Glow Hydrating Body Milk (RRP £35) is a new addition to my routine but so far I’m loving it because it gives the hydration of the original body milk but with a beautiful, streak free, mediterranean glow. I can already tell that this is going to be my product of the summer this year! With either option, you actually receive the supersize 400ml bottles making this collection even better value for money. The skincare products that are included within the set are a real treat and will have your skin feeling INCREDIBLE. It gives you a ready made skincare routine that will have your skin looking and feeling nourished and hydrated all year round. To start your skincare routine, there’s the Decléor Micellar Oil (RRP £26) which I’ve been used many times before. It has the micellar technology that we all love from our cleansing waters but in the form of a luxurious oil, infused with sweet almond and olive essential oils. It breaks down makeup and removes dirt and excess oil perfectly well from the skin but because it smells so heavenly, it makes the chore of removing makeup feel like a real treat too. You’re also going to receive a bottle of the NEW Decléor Aromessence Neroli Oil Serum (RRP £46). You may have heard of this oil before but they’ve actually reformulated it to make it even better, which I didn’t think would be possible but oh yes, they’ve done it! The Decléor essential oil serums are absolutely incredible for sandwiching underneath your moisturiser and I’ve used many from the range over the years, including the ultra soothing, Aromessence Rose D’Orient (review here) which literally saved my skin after a bad reaction to a very stripping toner from another brand. Aromessence Neroli Oil is absolutely ideal for all skin types as it helps to plump out dehydration lines, brighten dull and discoloured areas and give the skin a smoother look which I’m sure we could all benefit from, from time to time! The formula is enriched with neroli essential oil as well as parsley, hazelnut and sweet orange essential oils. To complete your skincare routine, there’s the Decléor Hydra Floral 24 Hour Hydrating Rich Cream (RRP £41), which contains neroli essential oil, as well as rosehip, avocado and soy plant oils. Again, this is another Decléor product that I have been using for years and always felt the benefit of. For my oily skin, this moisturiser is best suited to my skin at nighttime as the last step in my skincare routine and on days when I’m going makeup free, it is perfect for morning application too. If you have a drier skin type, you’ll benefit from applying it morning and night, as it really gives your skin a boost of moisturisation and leaves it feeling super soft and nourished. 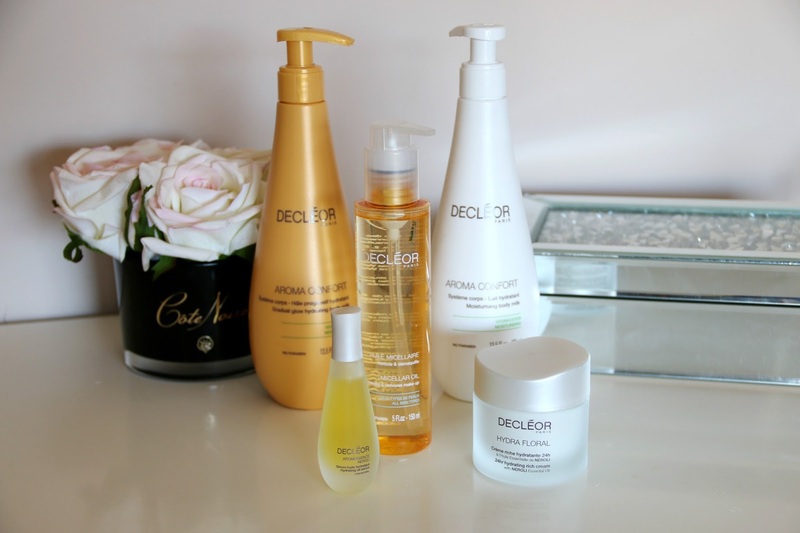 I couldn’t believe my eyes when they got in touch to tell me about the cost of this collection and I had to get this post up to share the offer with you because I’ve never seen prices like this from Decléor before. It is an incredible opportunity to try out their skincare for the first time or to repurchase your favourites at a fraction of the cost. The set itself is worth £148 but will be on offer for £59.98, saving you a whopping £88. After the 24 hours, the price will go up to £82, which will still be giving you a saving of £66! Shop this AMAZING offer here to get your skin feeling pampered, moisturised and nourished. Make sure you’re shopping on 26th March 2017 to get the best savings and thereafter for a still incredible saving through QVC! These sound like a lovely range of products,I have not used them before but I am tempted since they are such a good price too. What an amazing offer! I think it's great too that even once the first one ends, it's jumping to a still less expensive price rather than leaping all the way back up! 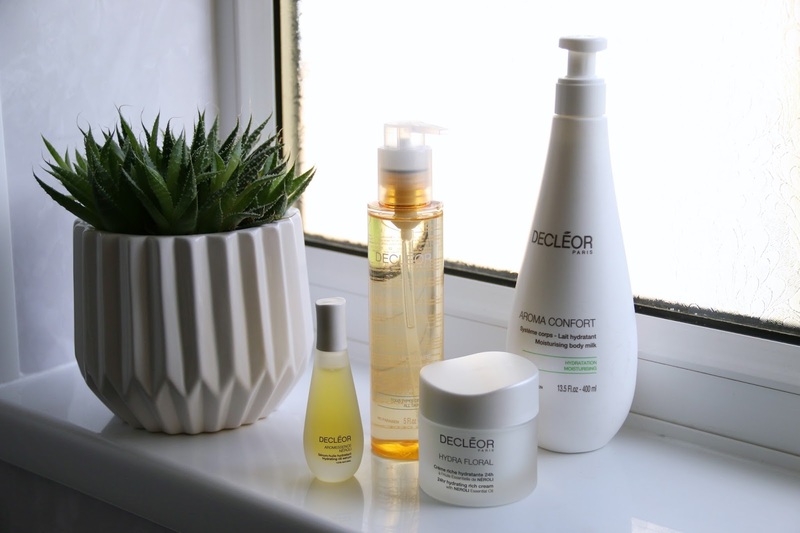 You've made me so curious to give Decleor a look out and see about trying them out! I've never tried anything from Decleor before. I love the sound of the micellar oil and neroli oil, they both sound like they'd be perfect for me. I've never tried this brand before however they sound really good. I like the sound of the moisturizer as I've had dry skin since I had my son 2 years ago. I love products that make your skin glow, especially when you apply them on your legs. 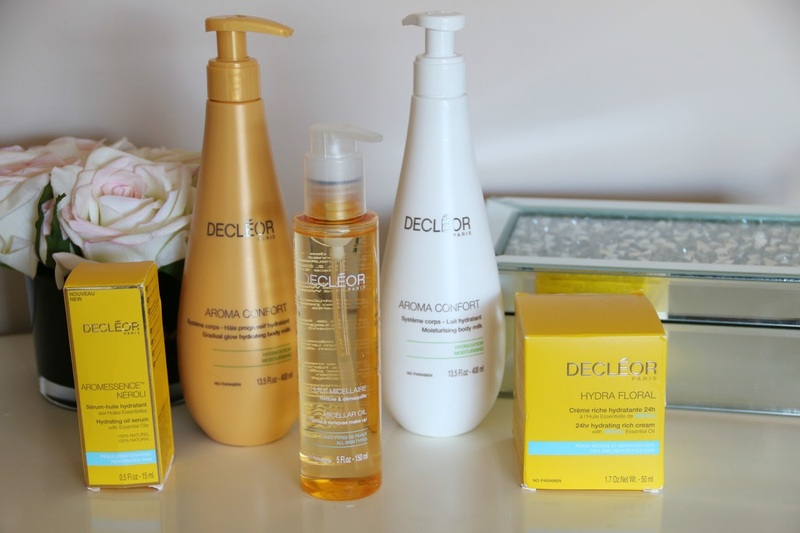 I didn't use the Decleor products before but I would love to try them out, they sound really good. That's a really good deal! I have never tried any of their products! 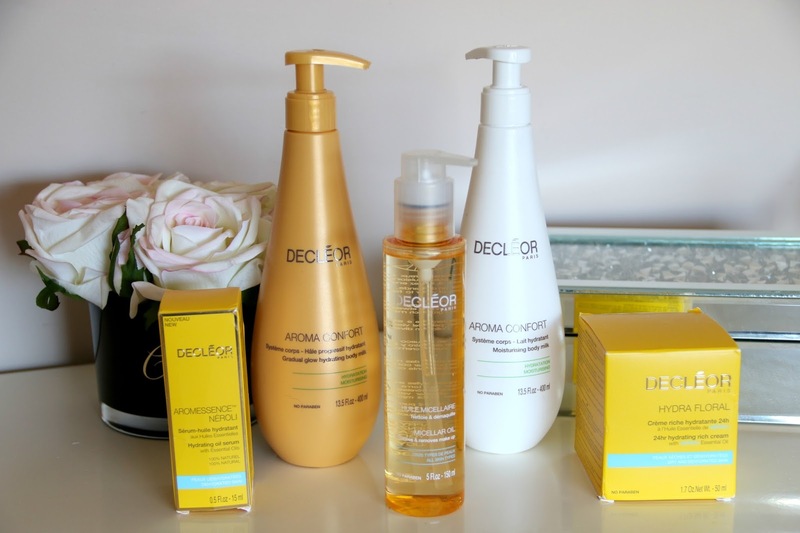 I love Decleor. I don't get to do it nearly often enough but every now and again I treat myself to a facial or a massage and they use their products at the salon I go to. I always come out smelling and feeling amazing! I spotted this set on your Instagram feed. Would love it too! QVC is just brilliant for bulk buys of amazing products, I get so much Elemis stuff from there, as well as L'Occitaine. You are so right – good skincare is more important than makeup! What an amazing offer! I've yet to try anything from Decléor. And definitely good skincare is important.